For many people, visiting the dentist invokes tremendous feelings of trepidation that often leaves them forgoing much-needed dental work. If this something that applies to you, you’ll be happy to know that advancements in dentistry have assuaged those fears for many people, most notably with the advent of sedation dentistry. What is sedation dentistry, exactly? Well, it is a dental procedure involving the administration of oral sedative drugs that work to reduce the fear and anxiety that many people have when visiting the dentist. These drugs are beneficial to the patient and dentist alike in that they contribute to an efficient workflow for the dentist and an effective, painless dental experience for the patient. In this article, we will take a closer look at the benefits of sedation dentistry, allowing you, the prospective patient, to decide whether or not this type of dentistry is right for you. There are varying levels of sedation offered through sedation dentistry, and the patient’s level of anxiety will often inform which treatment will work best. Some of the popular sedation methods include nitrous oxide, which is inhaled, and general anesthesia, which administered through an IV. That said, you’re encouraged to consult with your dental practitioner regarding which option will work best for you as they each have unique benefits for specific situations. Having highlighted a couple of the sedation methods available, let’s now turn our attention towards the benefits of having dental work done while being sedated including the following factors. Obviously, this is not an all-encompassing list of benefits associated with sedation dentistry; it is, however, some the more popular ones cited by patients and dentists, alike. Sedation dentistry is fundamentally no different than standard dentistry; In fact, root canals, fillings, and other dental work are performed with the same level of care and execution commonly associated with standard dentistry. Generally speaking, a gag reflex is a good thing in that it enables us to expel foreign objects that would otherwise be lodged in our throats. However, this natural reflex can be exacerbated if a patient has a fear of the dentist. Sedation makes it possible for patients to relax and allows the dentist to work far more quickly and efficiently, especially if the dental work entails going deep into the oral cavity. Having any dental work done will inevitably provide you with pain relief, but for the subset of society that has a dental phobia, making it to the dental office is a challenge in itself. But knowing that much-needed dental work can be performed with little to no pain can entice even the most apprehensive individual to schedule a dental visit. That said, sedation dentistry, through the use of powerful sedatives and anesthetics, is completely pain-free as these sedative and anesthetics impede the body’s ability to register pain. It probably goes without saying, but a relaxed patient is far easier to work on than one who needs to be constantly reassured and coaxed into relaxing. 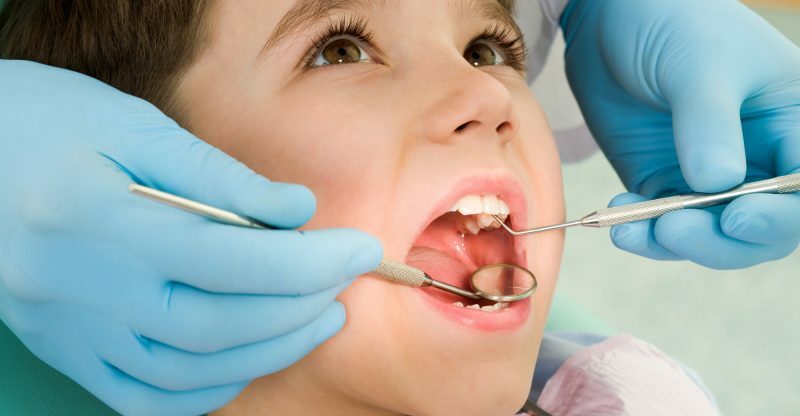 This prolongs the dental procedure and creates a difficult situation for the dentist. Therefore, sedation dentistry can represent a win-win for both the patient and the dentist. One of the biggest benefits that comes with sedation dentistry is the reduction in “dentist anxiety”; in removing anxiety, a patient is more relaxed, which, in turn, means they receive the dental work they need. At South Tulsa Dental Sedation Dentistry, the office of Dr. Chris Tricinella, our goal is to provide a relaxing and state of the art dental treatment in a caring and compassionate manner. A positive experience will prepare you for a lifetime of dental greatness.